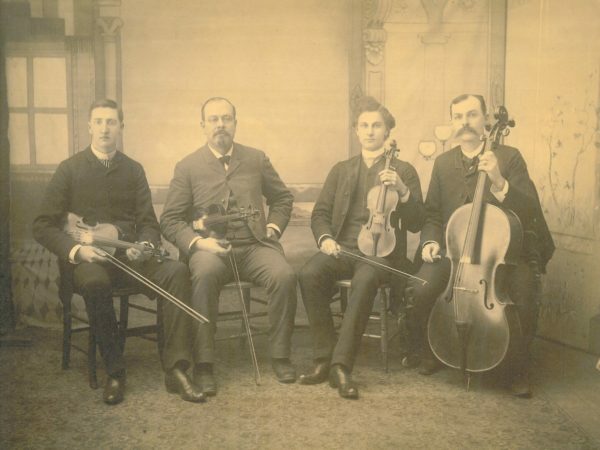 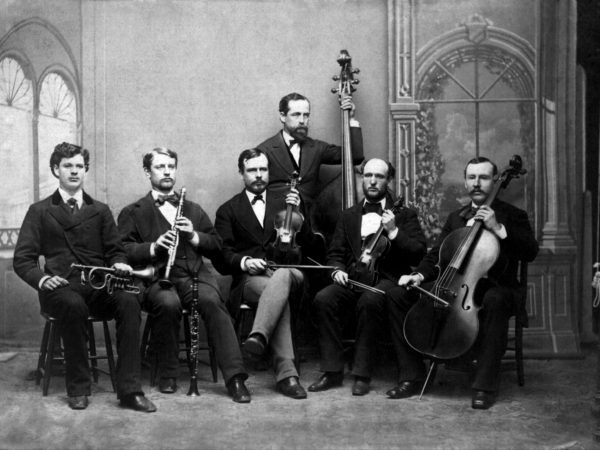 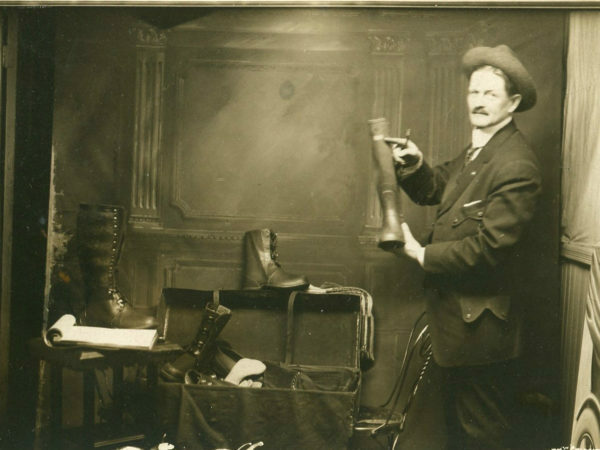 Some of the instruments sold were built by William F. Sudds. 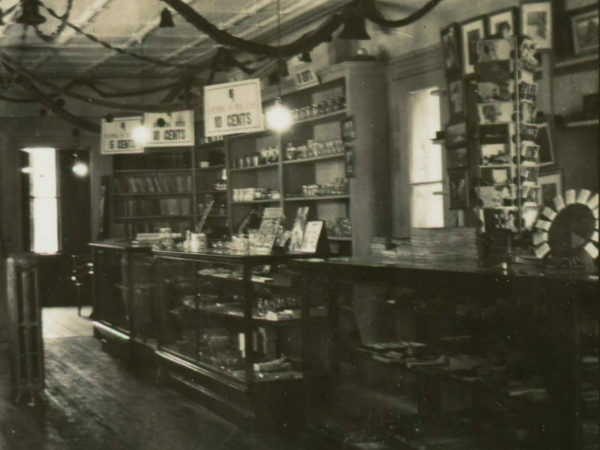 Sudds came to Gouverneur in the 1860s as a professor at Gouverneur Wesleyan Seminary. 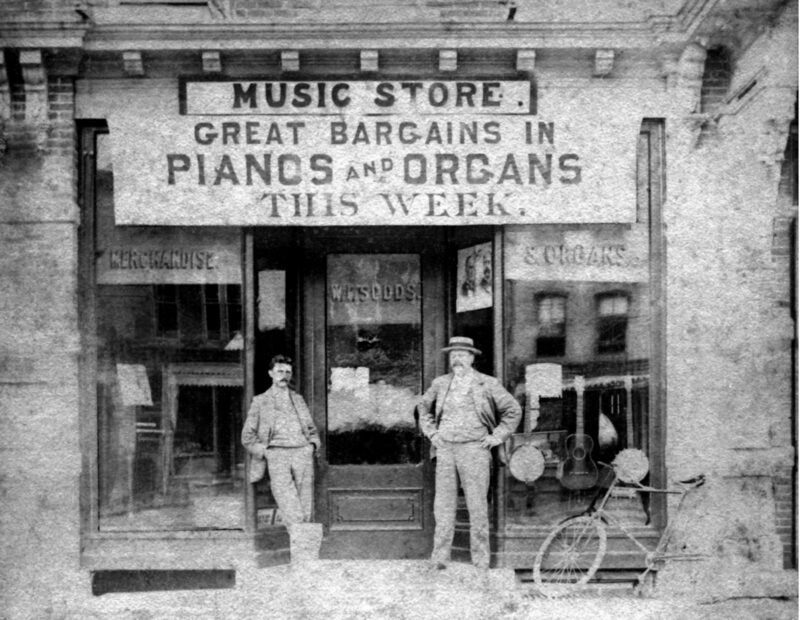 He gave music lessons and sold instruments at his store. 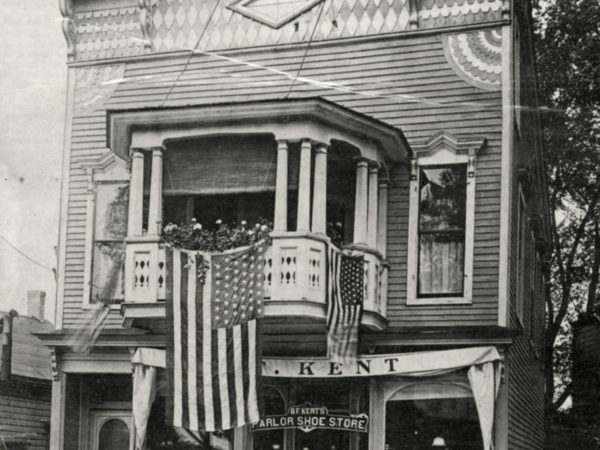 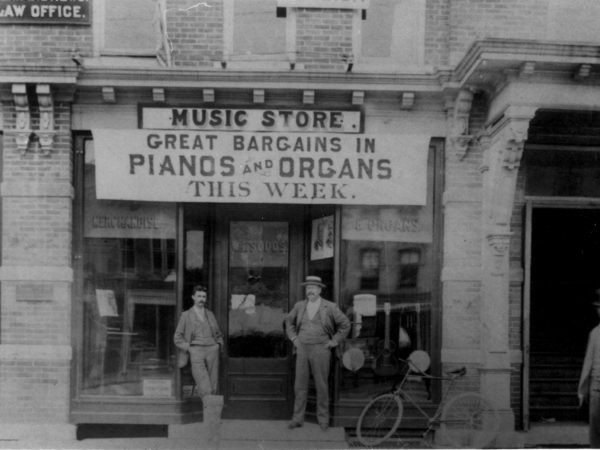 Circa 1898 (note McKinley poster in right store window). 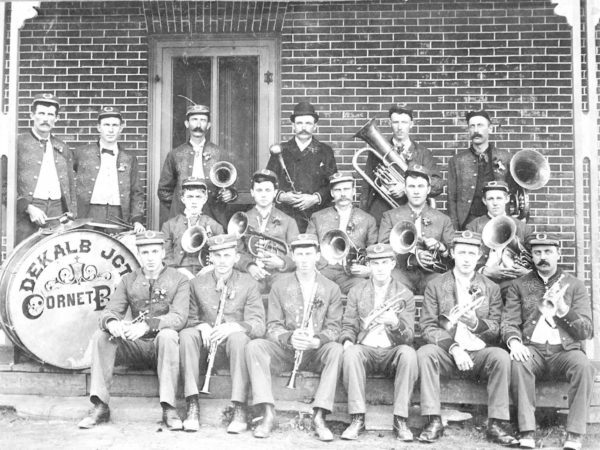 Gouverneur, NY. 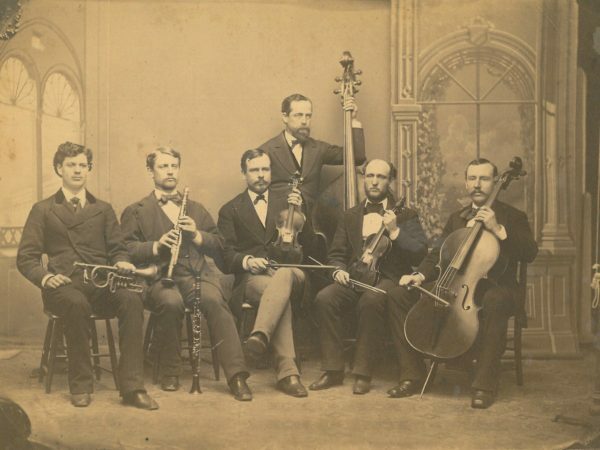 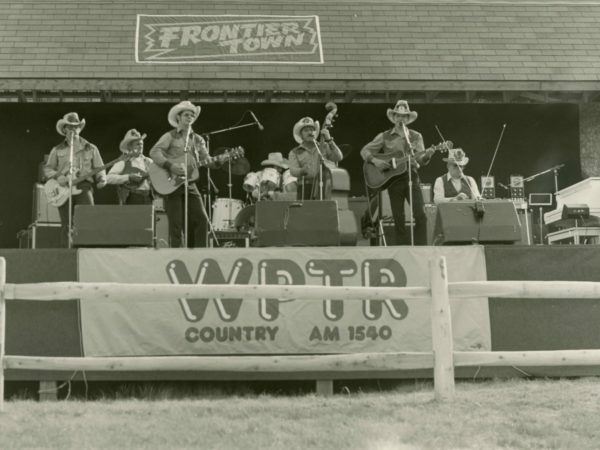 Curious about music in the North Country? 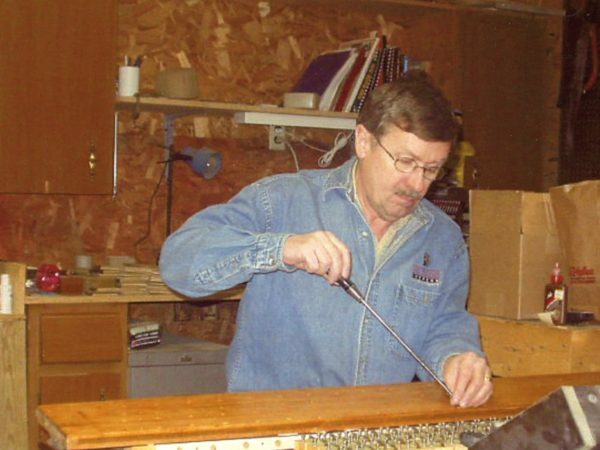 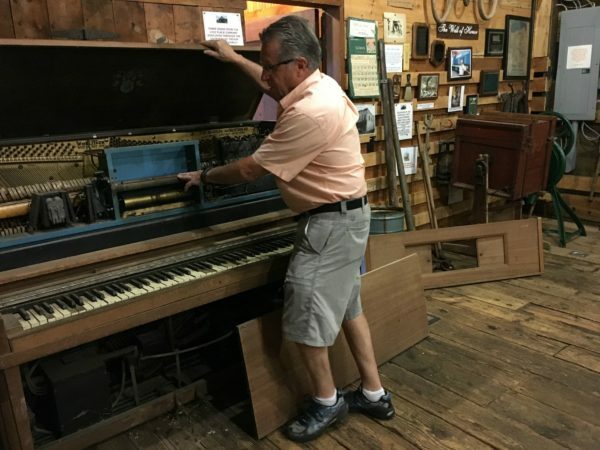 Check out North Country at Work’s story on a man who has been restoring pianos, organs, and player pianos for 40 years.